GUSEC: ZERO-DAY, ZERO-COST STARTUP SUPPORT SYSTEM Gujarat University Startup & Entrepreneurship Council (GUSEC) was formed one-and-half year ago to support startups, entrepreneurs and innovators in Gujarat. 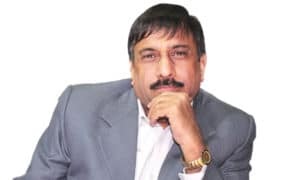 Currently, we have 47 student startups, of which a grant of Rs 40,000 each to 37 student startups has already been awarded, says Gujarat University Vice Chancellor, Himanshu Pandya, in conversation with Divakar Mukherjee of Elets News Network (ENN). What is your perception about the “Student Startup & Innovation Policy” (SSIP) introduced by the Government of India in January 2017? How is it contributing to students ideas? When Prime Minister Narendra Modi announced “Stand up India Startup India” policy, Gujarat University (GU) was the first to respond. Vice Chancellors of most of the universities of Gujarat gathered to discuss on the topic. Today, we’re a part of developing the SSIP policy. We initiated this process to support student innovation back in July 2015. Now, we are a Technical Business Incubator (TBI) supported by the Department of Science and Technology, Government of India; and a nodal agency of the Government of Gujarat. We are also a Section-8 company and have maintained close ties with state’s Corporate and Social Responsibility (CSR) activities. Students are always bubbling with energy. They have multiple ideas in mind. When they’re given opportunity and mentored in a way they can perform at their best and nurture their ideas at its fullest, it can be converted into a product. We’ve a Mentor Board of more than 150 disciplines who meet startups regularly, to motivate, and to provide all kind of supports from prototype to product. The SSIP is an accent where students’ ideas and innovations are supported. Through GUSEC, we are promoting a culture and spirit of entrepreneurship and innovation across the university without any financial assistance. “Paying it forward” plays a pivotal role for any startups. 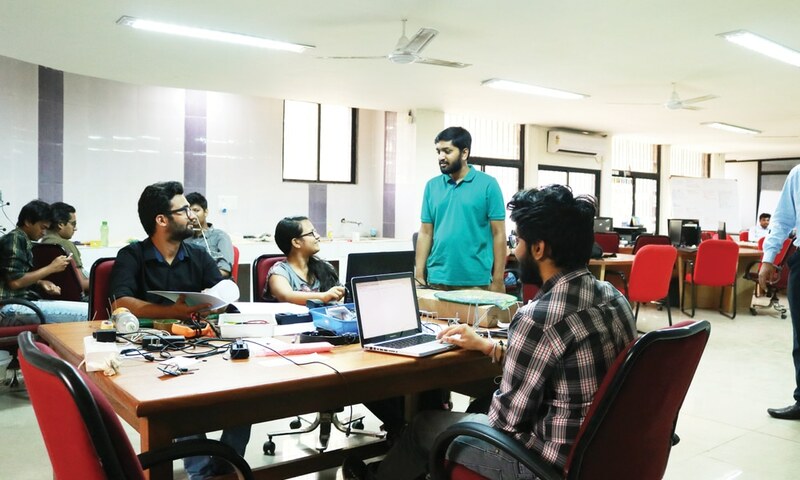 How is Gujarat University helping student startups receive funding for their innovations? Gujarat University formed Gujarat University Startup and Entrepreneurship Council (GUSEC) one-and-half year back to support startups, entrepreneurs and innovators in Gujarat. Through GUSEC, we are promoting a culture and spirit of entrepreneurship and innovation across the university without any financial assistance. Now, we are in accord with TBI and expecting some grants from the Department of Science and Technology, Delhi, and also from the Student and Startup Innovation Policy (SSIP), Gujarat, to support student innovation. We have a three-tier setup for student startups. First, we incubate them in our coworking space. Second, we provide mentorship in areas they’re working at and thirdly, we support them while obtaining Intellectual Proprietary Rights, and forming business strategies. If they’re building a company, the university is providing them financial assistance. The university also helps them financially in getting the patents without charging any revenue from the startups. What role is the Gujarat University playing to foster Student Startup ecosystem in the colleges affiliated with the university? There are more than 300 colleges affiliated to Gujarat University (GU). We have received more than 100 proposals from students of various colleges of GU. Currently, we are on the process to refine these ideas (not an innovation yet) so that a protocol can be developed to turn it into prototype or product. 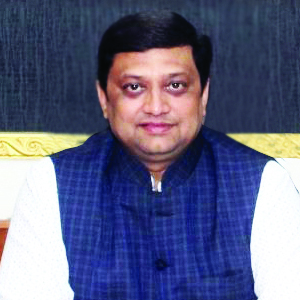 We have appointed one coordinator for SSIP, who monitors these proposals. GUSEC is open to proposals from the students who require assistance to bring a shape to their ideas. We allow them to sit with the Mentor Board to help develop their idea. Mentor Board helps them by providing a pool of knowledge to explore, discuss, groom and refine their idea to convert it into a prototype. If that prototype is promising then it can be converted into a product. Currently we have 47 startups, of which a grant of Rs 40,000 each to 37 student startups has already been awarded. There are more than 300 colleges affiliated to Gujarat University (GU). We have received more than 100 proposals from students of various colleges of GU. Currently, we are on the process to refine these ideas (not an innovation yet) so that a protocol can be developed to turn it into prototype or product. Considering most of the startups in India belong to innovators from technical background, what role is the Gujarat University playing to bring other disciplines at par with them? Technology is a core area even for a nontech startups because some or the other way they will have to be associated with it. For instance, to deliver goods or to develop a product, technical assistance will be required. The prime interest of Gujarat University is on non-technical startups as they are involved in the Government policies directly. We look towards the Government’s policy, its programmes, to facilitate them through our startup ecosystem. We have more than 50 ICT-enabled classrooms with facility to interact with global teachers. We also have a Google classroom installed in our department. Currently, we’re working on the Massive Online Open Courses (MOOCs) programme of the Government of India, being dealt through Ministry of Human Resource Development (MHRD) website. We’re also utilising Swayam and Swayam Prabha platforms for teaching-learning process. Moreover, we’ve introduced an Artificial Intelligence and Machine Learning course as a Master Degree programme in Gujarat University from this academic year. We want to come up with an ideology where we can facilitate our students with out-of-the-box thinking, i.e. from a conventional teaching and learning method to the need of the time. If we can link industry and academia anyhow, we can be facilitators of both academia and industry. It is a whole chain of system that we follow in Gujarat University.